Born in New York City in 1921 and raised in New England, Curtis Fields received his undergraduate degree in art from Yale University. After serving in the Navy during World War II, he worked as a designer while studying painting and print making in New York and Paris. In the mid 1950’s he relocated to Montreal to work as an art director. In 1960 he and his wife Veronica moved to San Francisco, California, where he ultimately became vice president and associate creative director of an advertising agency. From 1980 onward he devoted full time to painting and print making. After ten years as an abstract painter Fields concentrated on several series of landscapes – California, Mexico, France, Spain, Hawaii and Tuscany – as well as a series of swimming pool pictures and a series of satirical figure paintings entitled Social Notes. In his later years, he worked on a series of monotype prints, both representational and abstract and also a series of abstract paintings. Fields’ work has been shown in galleries and numerous solo and invitational exhibitions in San Francisco, Los Angeles, San Diego, Denver, Omaha, Paris, Montreal and a host of smaller cities. His work also includes a number of landscape and portrait commissions, and a variety of posters have been made from his landscapes. 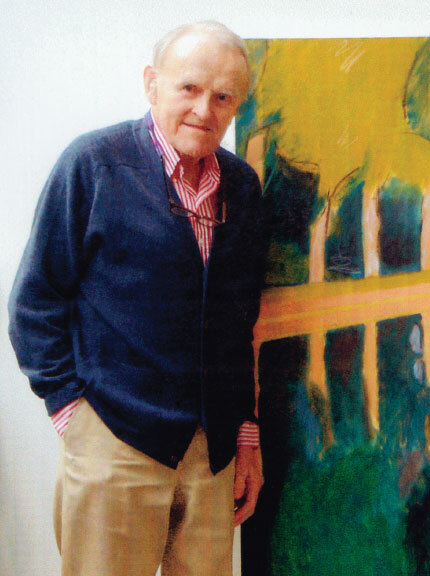 His paintings, prints and drawings are in public and private collections in the United States, Canada, England, France, Germany, Latin America, Japan, Hong Kong, and South Africa. He passed away in September 2008. “Mr. Fields practiced a stylized realism. He tried his hand at portraiture, still life and landscape, but he especially excelled at painting landscapes from direct observation. His distinct sensibility showed best in his use of color. Commentators on Mr. Fields’ work frequently compared it, especially the landscapes, to that of Henri Matisse in his Nice period.